Well Wood is 17 hectares (42 acres) of Ancient Semi Natural Woodland (ASNW) with oak, ash, hazel, yew, sweet chestnut, field maple, hawthorn, Douglas fir and larch. In spring you will find masses of wood anemones and wood sorrel, followed by a carpet of bluebells. 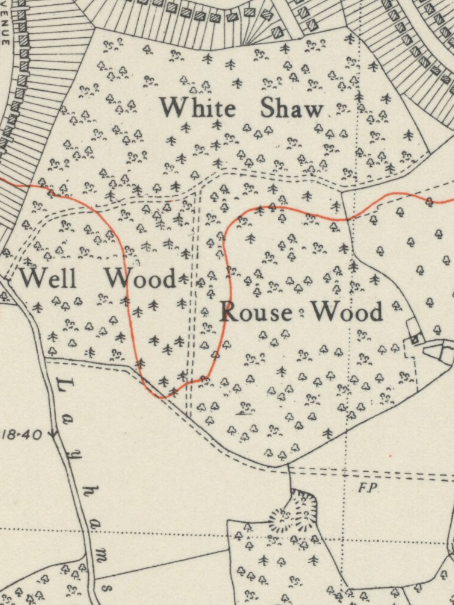 Well Wood originally consisted of three small shaws (woodlands) which formed part of the Wickham Court Estate: Well Wood, White Shaw and Rouse Wood. OS maps indicate that the woodlands were amalgamated in the late 1930s to form the larger Well Wood we know today; several magnificent oaks remain, demarcating the original boundary. Well Wood has been managed in the past for woodland products. Sweet chestnut was managed as coppice and used by wood colliers (charcoal makers). Not so long ago huts covered with turfs beside a smoking kiln would have been set up to provide temporary dwellings for workers. In the autumn, locals would collect nuts, berries, mushrooms and firewood. 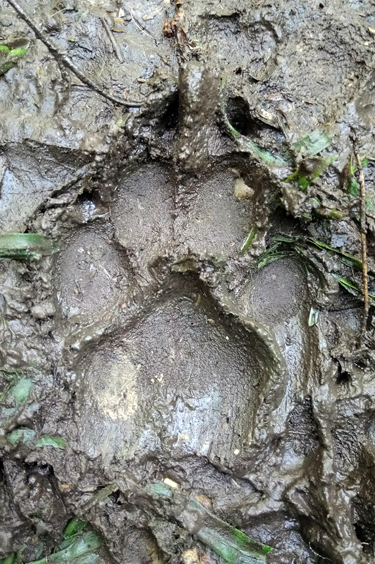 Poachers were constantly on the prowl and game keepers would patrol the woods hoping to catch them. During the 1850s a cottage was built in the south east corner of the wood under Sir Charles Lennard's ownership for his game keeper Thomas Durling. Known as Rowes Wood Cottage, it was demolished 100 years later in 1950 due to its dilapidated condition, but the remains of pipes and some drains can still be found. Beckenham Council purchased Well Wood in 1934 for £6,500 but no public access was granted until 1947 for 'restricted access from 10am to sunset' from the Lime Tree Walk entrance. it would take another year before public access from Layhams Road and Queensway was agreed. The Mayor of Bromley, Councillor Thomas Boyd Boyd (born 21 September 1888 in Newcastle-upon-Tyne, died 1970 in Bromley) formally opened the woodland to the public on 20th March 1948. In 1941, part of the woodland was requisitioned by the military authorities for £12 per year. The first documented timber sales in 1945 secured a price of £213 0s 0d for good sweet chestnut coppice timber. As demand for timber products dwindled, the woodland management changed and native broadleaves began to dominate the wood. Since the second World War, the wood had been largely managed for amenity and biodiversity. A small softwood plantation of Douglas Firs near the center of the wood with an adjacent scattering of larch can be found, planted in response to a national shortage of timber during the war. The aim of woodland management at Well Wood is to encourage a wide range of different tree species of all ages from saplings to mature trees and deadwood to support the greatest range of wildlife. Parts of Well Wood are ancient semi-natural woodlands meaning they have been continuously wooded since the 17th century and not developed or cultivated. They are really important habitats as communities of plants and animals have developed under stable conditions which would not be found in younger woodlands. These woodlands have been an important part of life throughout history. In the Domesday Book, 1036, "Wickeham" had enough cleared farmland and woodland to support 24 families and to provide rooting for about 100 pigs. One of the main tree species is Sweet Chestnut (Castanea Sativa) introduced to Britain by the Romans some 2000 years ago. It produces a durable timber which is resistant to rot and very strong. It would have provided locals with wood for fuel, building materials, wood for charcoal making and tools. It cleaves, or splits easily along the grain which makes it perfect wood for making pegs, stakes or fencing. Coppicing is one of the oldest forms of woodland management and has taken place in these woods throughout history to produce a continuous supply of timber and nuts. Coppicing involves cutting trees and shrubs to ground level. Although this might at first appear destructive, coppicing brings important environmental benefits by allowing increased light to reach the woodland floor resulting in more woodland plants and flowers growing and new tree shoots to regenerate. Other parts of the wood are managed as high forests - woodland not coppiced. The woodland work taking place here is selective thinning to reduce the density of trees in a stand to improve the quality of growth of the remaining trees. This ensures a range of different ages and improvement to woodland heath. The main tree species are mixed broad-leaved standards including oak, ash, birch, hazel, sweet chestnut, rowan, hawthorn and elder. The management plans and work in Well Wood are checked and regulated by the Forestry Commission and all management plans are approved before a felling license is issued. The National Library of Scotland, historical maps: 1868 Map of Well Wood and surrounding area.